Whew! Did you feel May breeze by? I'm hoping the days slow down a bit and warm up! Yay for sunshine and summer break! 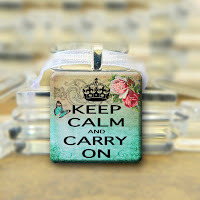 And for Etsy...I found a darling pendant that inspired today's card. Love the two-toned background, the pop of color and the gleam of metal. Click on the picture to visit Glittering Dreams to find your own inspiration! 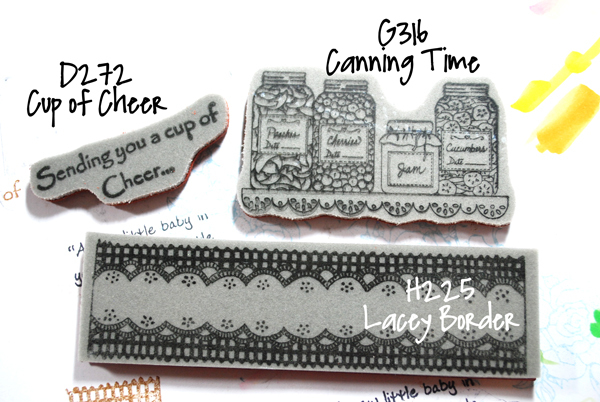 This came together so easily using Great Impressions Stamps! The black satin crinkled ribbon was hard to photograph. IRL the texture is just right! 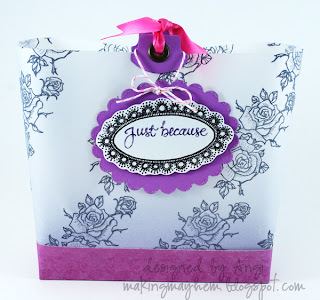 Today's the last day to link up your project for this month's challenge - Anything Goes! Scroll to the bottom of the post to link up! Good luck! 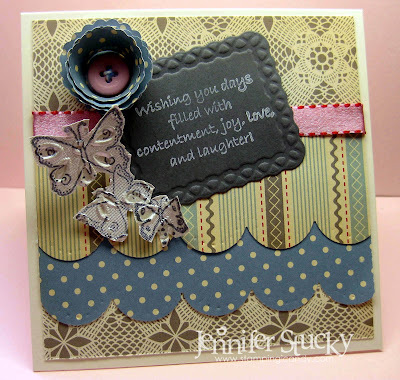 This week the design team was challenged to create a card that was inspired by another stampers work. 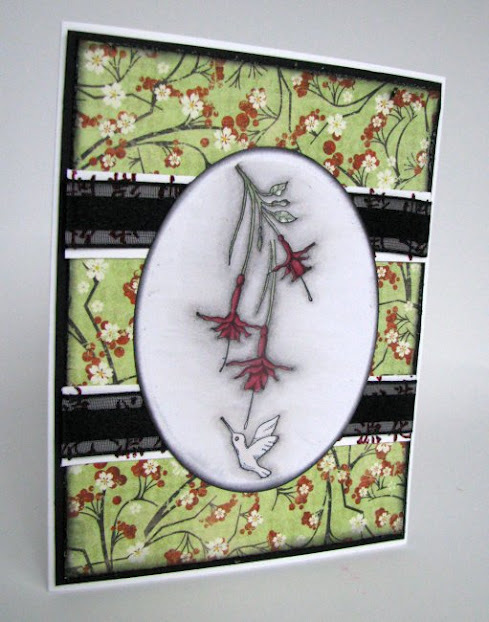 I picked this card by Grace that was posted on the Splitcoast Stampers website. 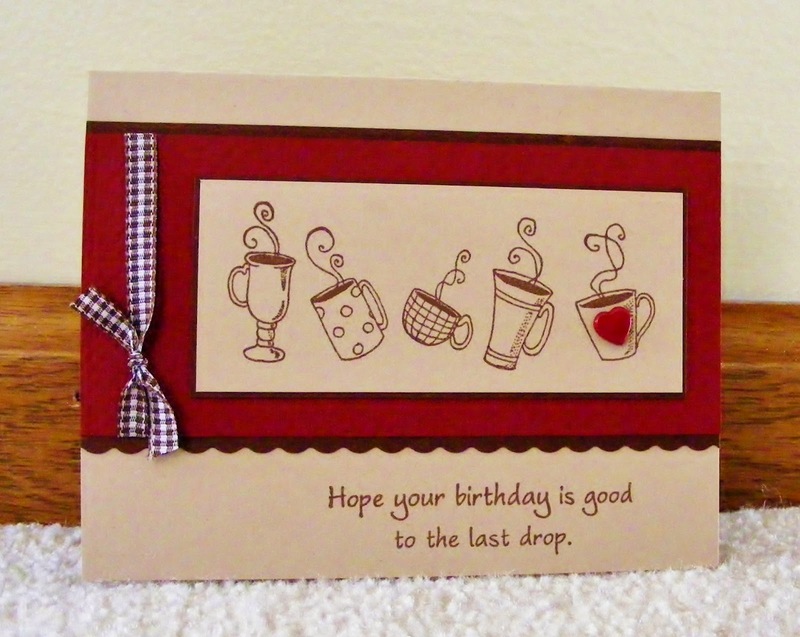 Great Impressions Birthday Cat with Balloons stamp. and the netting from the photo. Great Impressions Stamps and popped up for even more dimension. I found some delightful fruity chipboard. Score!! adore and weave it into your own! Happy Monday everyone. I really hope everyone is having a wonderful extended weekend. 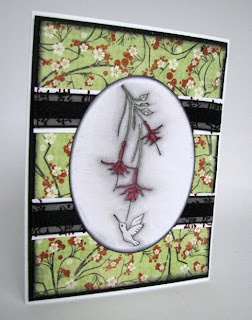 I know I know I should be making a card for Memorial day, but I made this one for last week and well my move too a little longer than expected so I didn't get a chance to share it! I am so excited about this recent card I made. 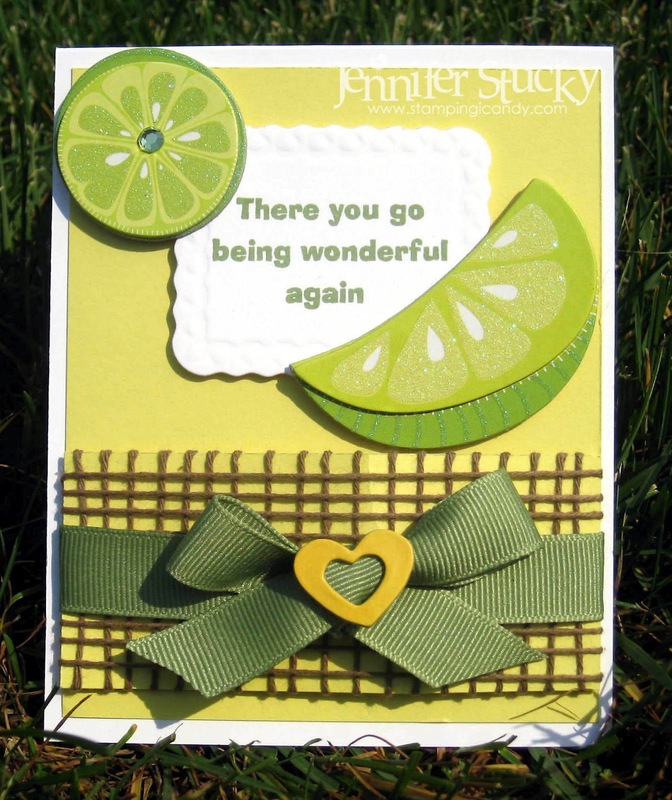 I must say I love Asian themed cards and projects. I really like cultured themes. 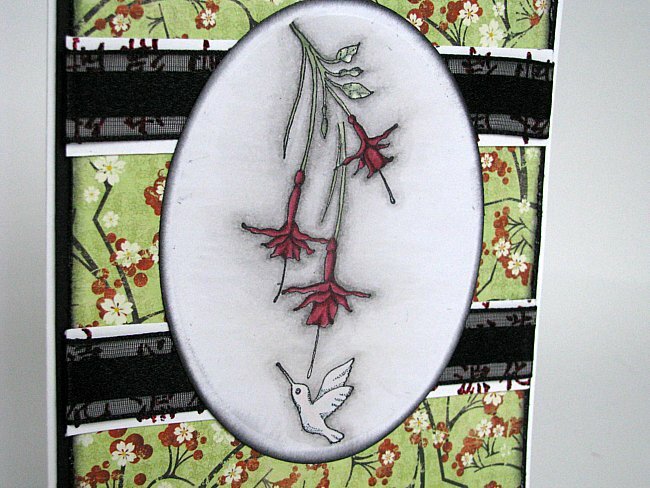 I also bought the new Serenity Bo Bunny paper pad and thought these stamps went perfect for my card. I also used a new piece of ribbon I got from a ribbon club I participate in. I also used and my largest oval spellbinder oval die to cut the image out and then distressed the edge with black soot DI. The image was colored with copics of course and I used some Japanese Lacquer embossing powder on the script behind the ribbon. I really hope you like this I find nice and peaceful. If you can come back tomorrow and check out what Jenny has in store for you! It's Saturday again-Sue here...Time for another Great Impressions card! Oh wait....two cards today! I fell in love with this darling little baby mouse stamp when I first saw it! Isn't it just as cute as can be? I was in need of a baby boy and girl card for a set of twins arriving soon-so here you go!!! I used this darling Sleepy Time stamp and sweet sentiment Tiny Yawns. I paper pieced the jammies and then added the image on pop dots and a scalloped nestie to some pretty DP. If you are interested in joining our 'Anything Goes' Monthly Challenge- click HERE. Thanks for popping in today-hope you enjoyed these little baby creations! Hey, Everyone! Angi here, pitching in for Theresa. 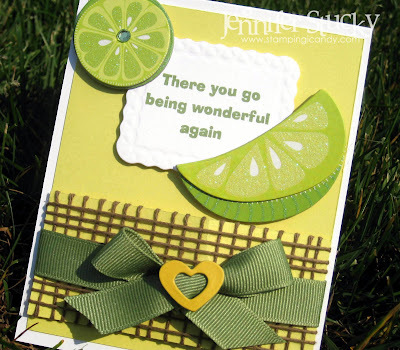 She should be back next week with her usual crafty inspiration! Thank Goodness it's Friday! I'm looking forward to a great weekend...no homework, no uniforms, no school! It's the first weekend of summer for my kiddos and we plan on making the most of this Memorial Day weekend to have fun! 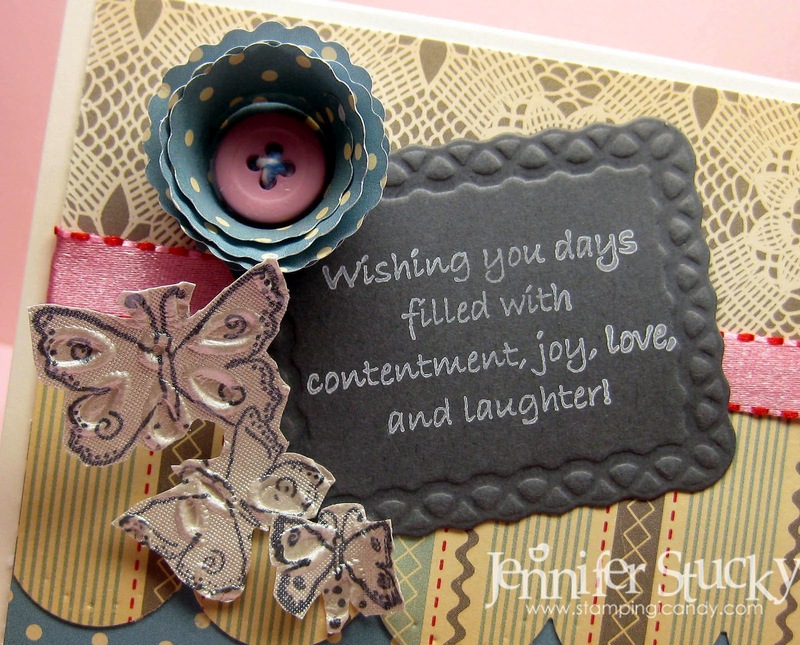 Fun for me, like many of you, is crafting and creating, making cards for friends & family. What do you do when you're gifting or packaging up those cards? How about a 'bag in a box' purse? What do you think? 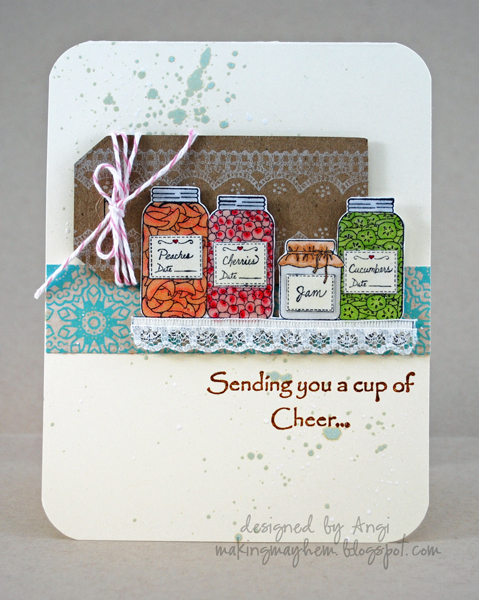 I'm always on the lookout for a pretty or fun presentation for my cards! 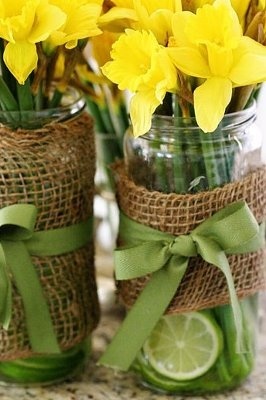 I'm off to make a few more of these...it's going to be a great day! 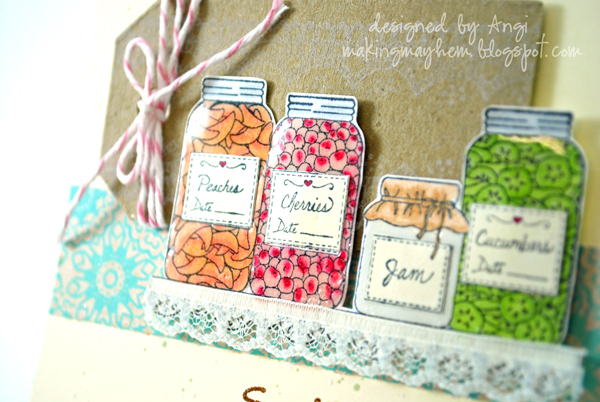 Colored with Copics, then covered the jars with Diamond Glaze and paper pieced the labels after the glaze dried. 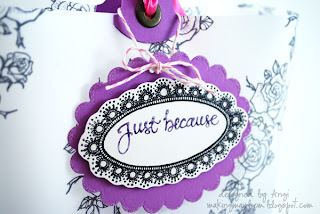 Less than a week left to link up your project for our May Challenge - Anything Goes! I'm sure you've made something fun this month...why don't you link up to our challenge for a chance to get a few of your own Great Impressions Stamps? Happy Thursday & Inky hugs! 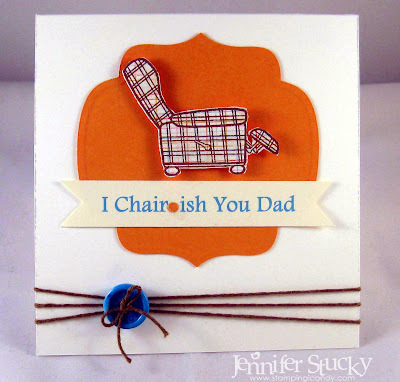 This one is for all the Dads out there. 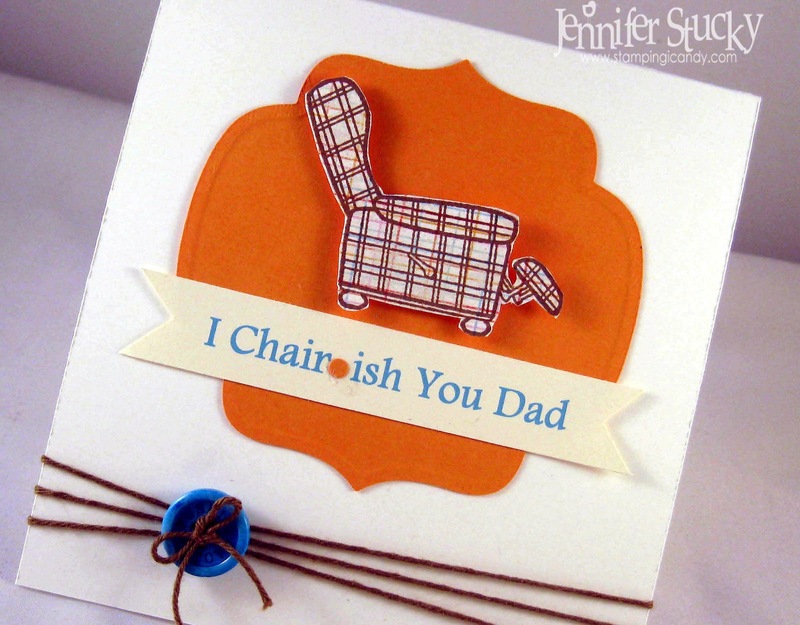 My Dad, who is in heaven now, always had a favorite recliner. There he would contemplate the news, watch Jackie Gleason or a little sports. What I remember the most is sitting on his lap enjoying a big bowl of buttered popcorn with him. He taught me to love parmesan cheese on it too. Honestly, try it...it's the best! Anyway, this plaid recliner reminds me of him and makes me smile. I will always treasure and cherish the time spent with him on that chair. Jenny here with a quick post. Shanna is on the road to Vegas. 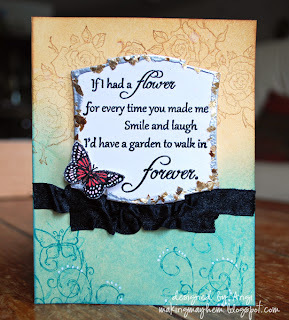 to frame my message and give extra dimension.